“Homeliness is synonymous with roominess,” a line from Fendi’s show notes, which ran true with their FW16 collection’s habitat: at the back you had a spiral staircase upholstered in fur (even the hand rail), which continued down the catwalk like some plush carpet. When you boast the world’s first fur atelier (as Fendi do in their new Palazzo della Civiltà Italiana location) you’re bound to cover the walls in the material. 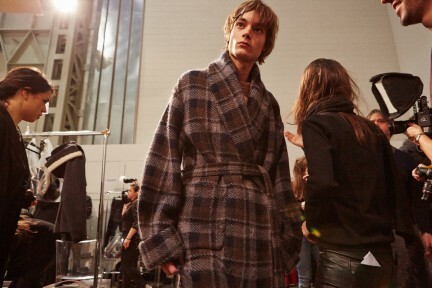 It was homely and cosy, a preceding indication of the textural collection that was to come. Ease and comfortability were elements salient with Venturini’s aesthetic, very luxurious, very-Fendi. Comic-book characters, popping up here and there out of breast patch-pockets, jumpers and Selleria Peekaboo bags, were present – #FENDIfaces, they were named. For Venturini home is where the haute is, and this was conveyed with a lush softness: coats were wrapped with belts and two-piece suits were furred-up, but also looked like they were made of a woven fabric. Here was a story of chillin’ at home cocooned in warmth – forget your onesies, Fendi are talking fur slippers and silk pyjamas (a glass of crisp scotch comes optional). 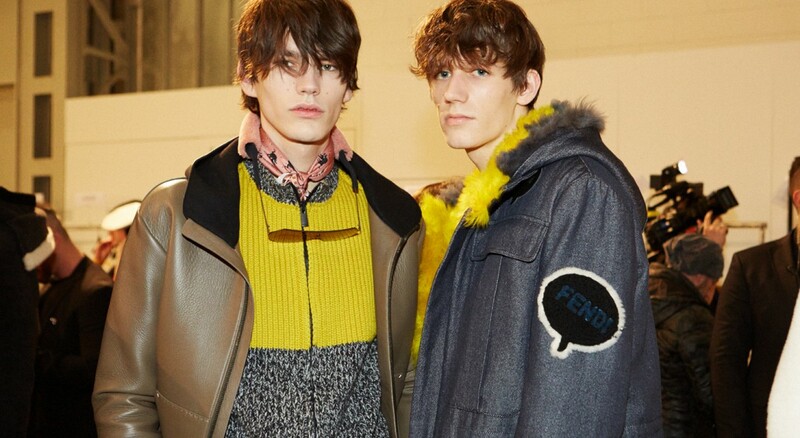 Fendi, but proper chill.